Birders and just about anyone who likes birds will delight in this field guide parody. Thirty-two fabulous new species are depicted in this volume, which features tongue-in-cheek descriptions, observation hints, and range maps, as well as remarkable full-color illustrations. The reader will never look at our feathered friends in the same way after encountering these frequent flyers. This delightful little book is written in the format of a field guide for rare birds, complete with description, illustrations and tips for finding these cleverly named, non-existent birds. 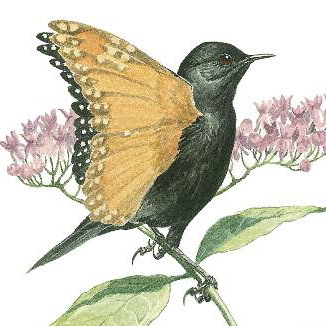 It is packed with humor that will amuse anyone who enjoys watching birds, but especially experienced birders who will be laughing out loud at some of the parodies of the real-world problems of identifying a bird in the field. 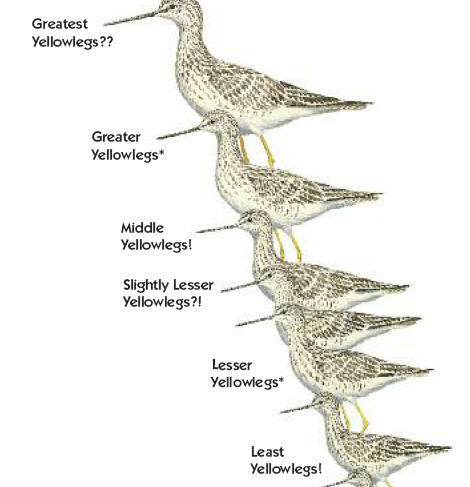 Both are similar to the lesser and Greater Yellowlegs; however, they are readily identified by the fact that the Middle Yellowlegs is smaller than the Greater Yellowlegs, while the least Yellowlegs is smaller than the Greater, Middle, and lesser Yellowlegs, but is larger than some smaller birds. The color illustrations are a perfect accompaniment to the text. Warblers are tricky little birds to identify, but don’t spend too much time looking for the elusive Monarch Warbler pictured here on the left. This was a fun book and a wonderful diversion for me to read on a cold winter night while longing for the spring warblers to return. 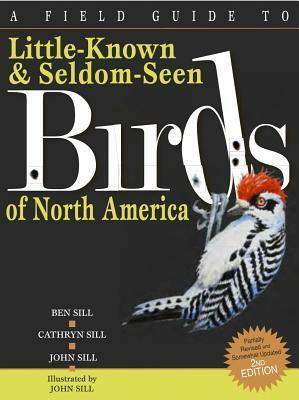 Clever and creative, a perfect book for bird watchers or anyone who enjoys our feathered friends. Oh my gosh, you know I will love this! It sounds like a really fun book. I’m going to order it right now. It is! And if you’ve ever been frustrated by a field guide, it’s even funnier. That looks like the perfect book for you!